Scheduled: Your Dream Vacation in Provence! Posted November 3, 2015 by Sage & filed under Human Interest, Yoga. 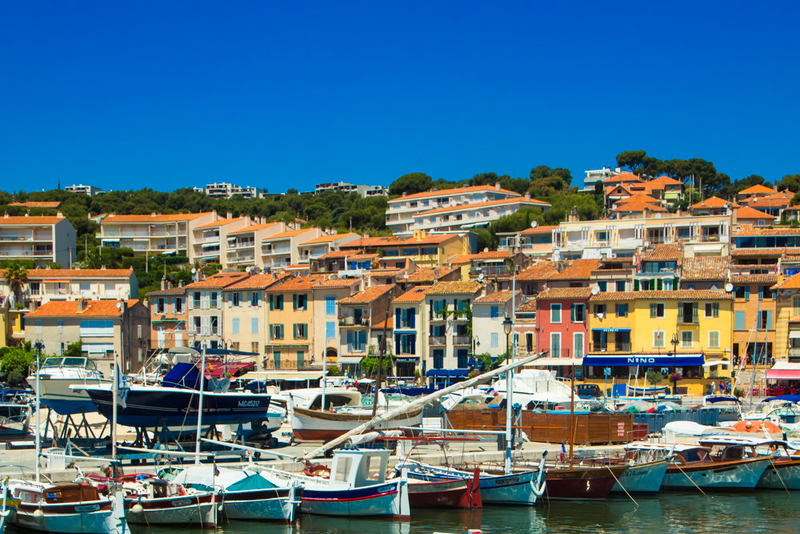 I’m so excited to share this with you: along with my family and wonderful hosts Liz Priestley and Claire de la Varre, I’d like to invite you to vacation in southern France with me next summer! We’ll enjoy yoga en plein air each day, explore Provence’s history, culture, and footpaths, and eat and drink very, very well. Liz and Claire have taken care of everything: they will pick you up at the airport, co-lead our excursions, and make sure you have the vacation of your life without having to stress about the details. And if you find you’d rather rest than hike: fine! You can lounge poolside and do exactly what you need to feel balanced, inspired, and restored. I’d really, really love to have you along. Imagine deepening your yoga practice with Sage while finding rejuvenation and transformation between the azure blue of the Mediterranean and the soaring French Alps. Provence Perfectly offers you a land of such beauty that writers and painters have flocked here for hundreds of years. Provence is a landscape of ancient history and timeless traditions, the perfect place to hike into rolling vineyards, fields of lavender and groves of olive trees. See wonderfully preserved Roman architecture, centuries-old monasteries, palaces, and castles. Stroll along the winding cobblestone lanes of the famous perched villages, hike the famous Ochre Quarry Trail, explore the local galleries, museums and artists’ workshops, and pick out the perfect Provençal souvenirs to take home. The markets are brimming with the tastes and smells of the famous local cuisine and offer an astounding choice of fruits, vegetables, olives, cheeses, bread, honey . . . the list is endless. Relax knowing that Liz Priestley, Claire de la Varre, and Sage have done all the planning for you. Each day offers a perfect mix of activities, all of them optional depending on your energy and mood: morning yoga by the pool, lunch in a perched village, a hike through Roman ruins. While all activities are included in the cost of the tour, you may choose to opt out of any activity at any time and relax at the house. Our yoga practices will contain a balance of effort and ease, and you’ll be able to ask questions along the way, so you can return home with the tools to keep your practice and your training regimen, if you have one, consistent and fun. We will exercise well, eat well, and drink well! You will end the week feeling renewed and balanced, with a host of new friends and a deep appreciation for terroir—the sense of place that comes through in every activity, from enjoying local wine to taking savasana in the sunshine to hiking over the varied terrain of southern France. This sense of place will be a memory to cherish for the rest of your life. We recommend flying into Marseille airport where we will pick you up. If you prefer to fly into Paris and spend a few days there at the beginning or end of your trip, the TGV (fast train) runs between Paris and Marseille in about 3 hours. From the train station it is an easy transfer to Marseille airport, where we will meet you. The vacation package includes accommodation for 7 nights in a 200-year old farmhouse, plus 2 nights in a hotel in La Ciotat on the Mediterranean coast. Airport pick-up/drop-off, all breakfasts, all lunches, dinner on the first and last nights in the farmhouse, and dinner on the first night in La Ciotat are all included. Our guided day trips include lunch in a restaurant or café and activities. You will need spending money for items such as souvenirs, postcards, ice cream, snacks, and any activities you choose to do that are not part of the tour itinerary. For five evenings you are free to do as you choose—you may shop and cook at home, or eat out in Eygalières, walking distance (just over a mile) from the house. On one of those evenings we will be in the perched village of Roussillon and will have dinner there. Sage Rountree is an internationally recognized authority on yoga for athletes, a trail lover, and like all of us at Provence Perfectly, a fan of leisurely multi-course meals, with great wine, in beautiful surroundings. Author of several books, including The Athlete’s Guide to Yoga, Racing Wisely, and Everyday Yoga, she contributes to Runner’s World and Yoga Journal. 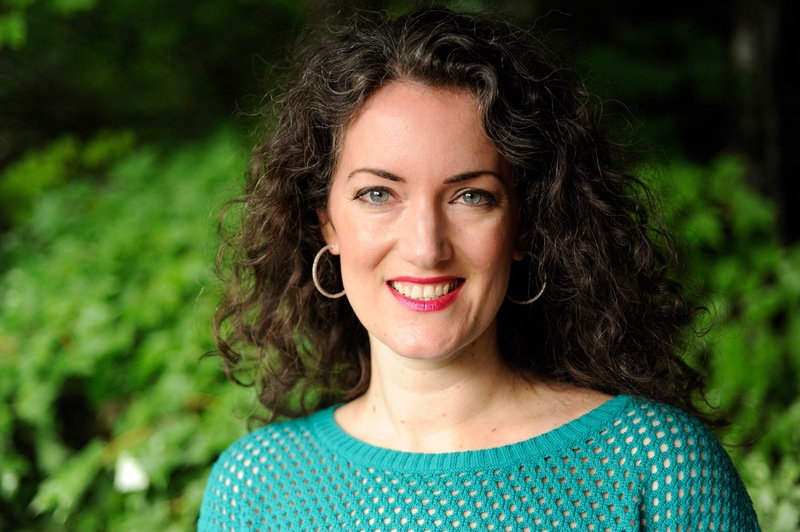 Sage lives in Chapel Hill, North Carolina, where she co-owns the Carolina Yoga Company, with locations in Carrboro, Durham, and Hillsborough, and directs its yoga teacher trainings. Sage’s goal is to help people find the right balance between work and rest for peak performance and enjoyment in sports and in life. During our trip, we’ll explore the importance of rest, rejuvenation, and appreciating every delicious moment. While Sage is an expert-level triathlon and running coach and happy to discuss your training with you, our focus for the week is casual hikes, accessible yoga practice, and fun exploration of the landscape, history, art, food, and wine of sunny Provence. For a taste of Sage’s teaching style, visit www.yogavibes.com/sagerountree. To explore her writing and read more about her philosophy, visit www.sagerountree.com. Also joining us is Sage’s husband, Wes Rountree, a wine connoisseur and co-owner of Cave Taureau Wines and Rue Cler, a Parisian-style bistro, both in Durham, NC. Wes will help us explore the wines of the Châteauneuf du Pape and Côtes du Luberon appelations. Welcome to Provence! The closest airport is Marseille Airport, where Claire and Liz will meet you. We will have a sign saying, “Provence Perfectly.” After we drive you to our villa in Eygalières, you may choose to settle in and rest by the pool or walk and explore the lovely village. Tonight we will have a welcome dinner at the villa and maybe even some yoga. Drive to Avignon to see the Pope’s Palace and have lunch. 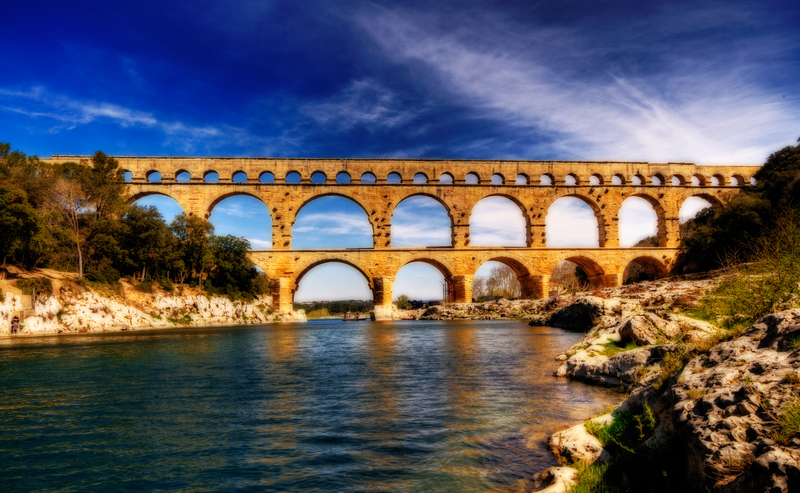 The in the afternoon we will head west across the Rhone and hike around the stunning Pont du Gard, a remarkably well preserved Roman Aqueduct. In the evening you will be free to eat in one of the restaurants in Eygalières, or cook and eat at the villa. 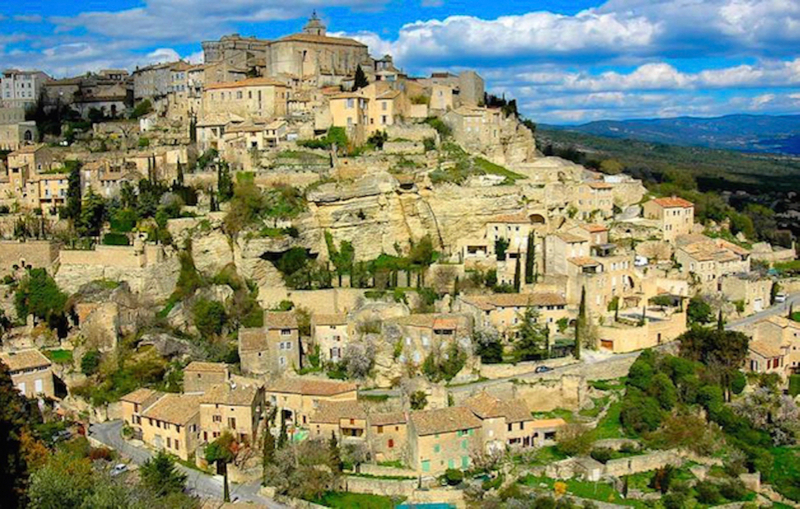 Depart for lunch and exploration in Gordes. Hike from Gordes to the Abbey of Senanques, one of the most famous sites in Provence. Then we drive over to Roussillon, the Ochre Village, and hike through the amazing orange landscape surrounding this artist’s haven. We will stay in Roussillon for the evening, so you are free to eat dinner at your choice of restaurant. Depart for lunch and exploration in Arles. You will see the Roman Arena and Les Ayscamps, the fascinating Roman cemetery painted by Van Gogh. In the evening you will be free to eat in one of the restaurants in Eygalières, or cook and eat at the villa. Depart after breakfast for the wonderful St. Remy market, where you can stock up on your souvenirs. After the market we will eat lunch in a restaurant in St. Remy. In the afternoon we will visit Van Gogh’s hospital at St. Paul de Mausole, hike through the Roman Ruins at Glanum and perhaps a stop and taste at a winery such as St Remy’s Chateau Romanin. In the evening you will be free to eat in one of the restaurants in Eygalières, or cook and eat at the villa. After breakfast we depart for Les Baux, a fortified and very steep medieval village high atop the Alpilles. We will have lunch overlooking the valley, then walk down below the village for the world-famous sound and light show inside the cool and comfortable former bauxite quarry. In the evening you will be free to eat in one of the restaurants in Eygalières, or cook and eat at the villa. Depart after breakfast for the bustling Eygalières Market. Depart for lunch in Vaison la Romaine, a very charming medieval village built on an early Roman settlement north of Avignon. We will spend the afternoon exploring the Roman ruins and climbing the steep narrow alleyways up to the top of the medieval village. In the evening you will be free to eat in one of the restaurants in Eygalières, or cook and eat at the villa. We say au revoir to our villa and depart after breakfast for the Mediterranean coast. We will have lunch in the beautiful town of Cassis looking out over the fishing port and tge blue sea. In the afternoon we will take a fascinating boat ride to the Calanques (fjords). After the boat ride, we will venture up the Route des Cretes to see the gorgeous and breathtaking views of the Mediterranean from atop the highest cliffs in Europe. We will check into our hotel in La Ciotat, and then have dinner in the wonderful and unique Calanque de Figuerolles. Depart after breakfast at the hotel for a hike high above the Mediterranean (some trails may close due to fire hazards). Lunch in Cassis or La Ciotat. Dinner on your own. Prepare to say goodbye and settle in for your last night in the hotel in La Ciotat. After breakfast at the hotel, Claire and Liz will take you to the Marseille airport for your flight home, or to catch the train for your next adventure. As you dream about joining us, review the registration process here. E-mail Liz at lizpriestley95@gmail.com or call 919-968-1736 with questions and to sign up!